You’ve probably been hearing a lot about cloud based services. 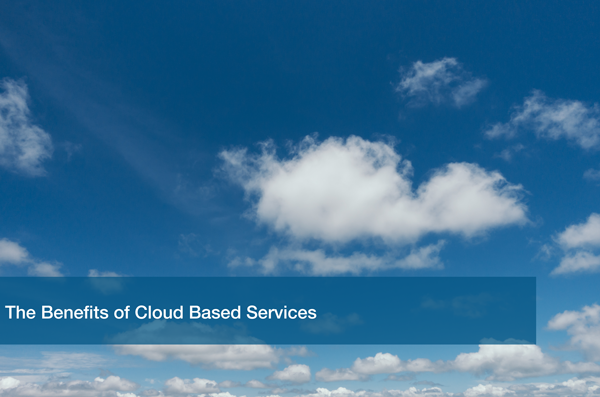 What are cloud based services? Cloud based services are applications and programs that run online. For example, Dropbox and Office 365. How do they apply to you? Cloud based services can increase efficiency and stretch the value of your dollar. Why should you care? These services are helping manage workloads for themselves and their employees. The use of cloud based services is growing and there are several reasons for this growth. Let’s explore three benefits of the cloud. You have your team and they are scattered across the office, the city, the state, or even the country. Getting everyone to collaborate on a project all at once can be extremely difficult. Lunch breaks, appointments, and other events can delay collaboration efforts. Cloud based services allow you and your team to access, share, and edit documents in real time. Your staff can do more together in the cloud. In the past, you would use programs that were downloaded or installed using software. You would go down to Best Buy, buy the software for Microsoft Word 2010, and then install it onto your computer. Problem was, there would be a new version before you knew it! So there you go again, back to Best Buy, buy software, install on your computer. With cloud based services, the software updates are automatic. You don’t have to worry about missing out on updated programs. You can go to Best Buy and spend money on the fun stuff, like a refrigerator with a built in Keurig! Speaking of saving money, you can put those funds towards a much-needed vacation. Did you catch last week’s blog post about how IT services can help you take a day off? Cloud based services allow you to work from anywhere with an internet connection. There are even services you can use from your smart phone, you wouldn’t even need an internet connection. The ability to access your work from anywhere can also lead to added perks for your employees. For example, telecommuting. The list of reasons to make the switch to cloud based services goes on and on. If your business is considering the switch, it’s important you seek guidance to make sure it’s the perfect fit. At ITC, we sit down with our clients beforehand to decide together whether the move makes sense. If not, we come up with a plan for your business that does. Click here and let us be the cloud based service solution of your dreams!